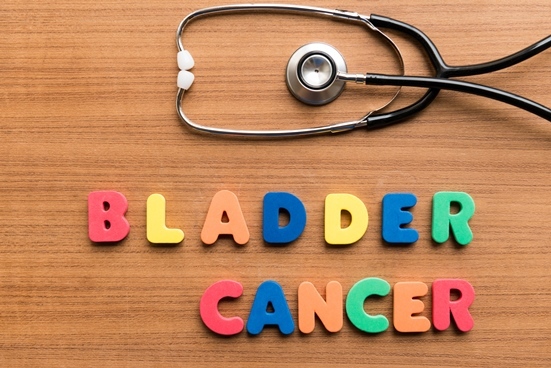 The bladder cancer space across the seven major markets (7MM) of the US, France, Germany, Italy, Spain, the UK and Japan, is set to more than triple in size from $360 million in 2015 to around $1.17 billion by 2025, at a compound annual growth rate of 12.5%, according to GlobalData, a recognized leader in providing business information and analytics. The company’s latest report states that this impressive growth will be driven by the increased incorporation of immunotherapies into treatment algorithms, the launch of new combination therapies, increased incident cases of bladder cancer across the 7MM, and the introduction of the pipeline agents CG-0070, Vicinium and Cyramza. Historically the bladder cancer market has been highly generic, with Bacillus Calmette-Guerin (BCG) and chemotherapies dominating the landscape. However, with the launch of Tecentriq and the subsequent launch of other programmed cell death protein 1 (PD-1) modulators, bladder cancer treatment algorithms are expected to change during the forecast period. Cai Xuan, Ph.D., Healthcare Analyst for GlobalData, explains: “Though these PD-1 modulators are expected to have a significant impact on the treatment of bladder cancer, the reality is that the majority of these patients – upwards of around 70% – will not respond to these drugs. In this way, pharmaceutical companies are looking at various ways to expand the treatable patient population. Strategies being employed include expanding into the non-muscle-invasive bladder cancer setting and using combination regimens to boost response rates. Although pipeline agents will reduce unmet needs, opportunities will remain. Indeed, in the non-muscle invasive bladder cancer (NMIBC) setting, the late-stage pipeline agents CG-0070, Vicinium and Instiladrin are expected to provide viable alternatives to cystectomy. However, none of these are being explored in the first-line setting, where there remains an unmet need for a safer drug than BCG with higher cure rates, as well as treatment options for patients who are BCG-ineligible or intolerant. Xuan continues: “In the advanced disease setting, the vast majority of late-stage pipeline drugs are PD-1 modulators.